We’re adding to this page on a regular basis. Keep checking back! Why not take a moment to sign up to our monthly e-newsletter, or ‘like us’ on Facebook, or follow us on Twitter to make sure you don’t miss anything? If you’re running an event you want to promote, use our add an event form or email us! Offering fun activity weeks and days across Essex during the summer holidays for children aged 4½-14 years – action packed programmes with over 80 activities including aquaslide, motorsports, fencing, sports, arts and crafts and more. With camps in Chelmsford, Chigwell, Harlow, Hutton, Romford, Upminster, Woodford and a brand new summer camp in Colchester for 2019 they have plenty to keep your children entertained. With prices from as little as £3.64 and flexible hours from 8am-6pm, our Ofsted registered camps offer a great choice during the school holidays. 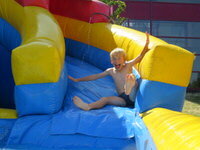 These popular camps sell out fast, so to secure your child’s place visit the Barracudas website or call 01480 467567. Thursday 1st August 2019 11am to 4:30pm. Thursday 8th August 2019 11am to 4:30pm. National Garden Scheme : Tudor Roost. 18 Frere Way, Fingringhoe, Colchester, CO5 7BP. Saturday 10th August 2019 and Sunday 11th August 2019, 2pm to 5pm. Formerly The Military and Flying Machines Show – more details when available. “Our 5th Layer Marney Cup, is a fuel trial, which will go from RHS Hyde Hall to Layer Marney Tower, with cars from every decade over the last 100 years”. Thursday 15th August 2019 11am to 4:30pm. Thursday 22nd August 2019 11am to 4:30pm. Arguably the longest running annual yacht regatta on the mainland of the UK. And watch out for the Burnham Quay Day on the Bank Holiday Monday. Crouchmans Farm Road, Maldon CM9 6QX. BH Monday 26th August 2019, 2pm to 5pm. Listed black barns provide backdrop for colourful and exuberant planting in 8 acres. Thursday 29th August 2019 11am to 4:30pm. Join Chapterhouse Theatre Company for a brand-new open-air production of Robert Louis Stevenson’s Treasure Island! Secrets, pirates, gold: will young Jim Hawkins discover Treasure Island? This is such a great website. We have been to loads of events advertised here which we would otherwise not have known about. Fab – thank youfor all the tIps.